MS Dhoni watched from a distance as the madness unfolded on Kedar Jadhav's birthday. MS Dhoni and Kedar Jadhav seem to share a great bond on and off the field. The CSK duo have bailed Team India from a precarious situation numerous times. However, MS Dhoni failed to come to Kedar Jadhav's help when the latter was mobbed by teammates during a cake-smearing session on his birthday. 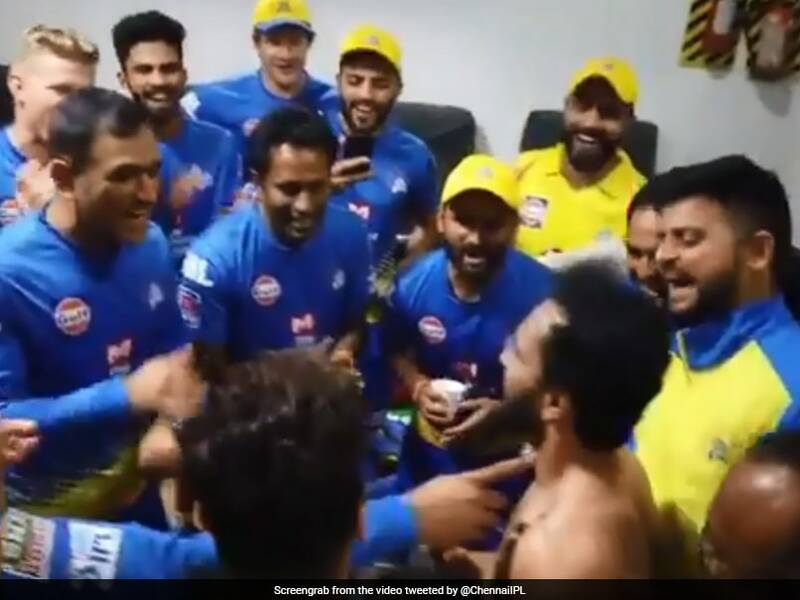 Instead, the CSK captain stood at a distance and laughed his heart out as CSK players ganged up and plastered Kedar Jadhav with cake. Dhoni did go up to Jadhav in the end but only to get a picture clicked. The video of the festivities was posted on the twitter handle of Chennai Super Kings. Chennai Super Kings have begun their IPL title defence with back-to-back wins. The defending champions romped to a seven-wicket win over Virat Kohli's Royal Challengers Bangalore in the opening match of IPL 2019, which was followed with another comfortable six-wicket over against Delhi Capitals. Chennai Super Kings and Kolkata Knight Riders are the only two teams to have a 100 per cent record this season with both winning their opening two matches. Against Delhi Capitals at the Feroz Shah Kotla, MS Dhoni and Kedar Jadhav strung together a 48-run stand for the fourth wicket to put CSK on the brink of a win in the chase. Jadhav was dismissed for 27 while MS Dhoni remained unbeaten on 32 as CSK overhauled the target with two balls to spare. Chennai Super Kings will next be seen in action on Sunday when they host Rajasthan Royals at the MA Chidambaram stadium.